George Maroutsos was born in Athens and he is 49. He studied Finance at the Athens University and holds a post graduate degree in software engineering and MBA from Strathclyde University. He is working in the travel industry since 1982. 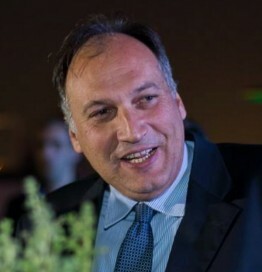 From 2000 to 2005 he was the Commercial Director of Galileo Hellas SA for Greece, Balkans, Cyprus and Israel. He was the co-founder and Managing Director of AtoZ Travel Consultants Ltd. Since 2013 he is the General Manager of Aktina Travel SA. He is Chairman of PETAGA, Vice President of HATTA and member of ECTAA’s airlines & technical matters committee.